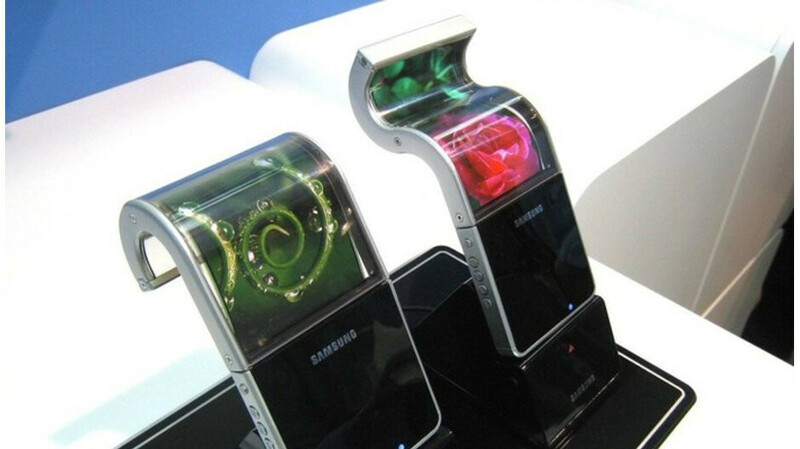 Last month, the CEO of Samsung's mobile division, DJ Koh, told CNBC that the foldable Samsung Galaxy F (which is what we are calling it nowadays) could be unveiled in November. But that was actually incorrect, as we pointed out later. Samsung doesn't expect to be ready to unwrap the phone next month; instead, it might only be prepared to release some of the handset's specs starting at the Samsung Developer Conference on November 7th. The latest rumors call for the Galaxy F to sport a 4.6-inch display when used as a phone, and a 7.3-inch screen when configured as a tablet. The change from phone to tablet is achieved by unfolding the display. Last month, the rumor mill churned out a tiny piece of speculation about the foldable phone. The displays on the Galaxy F will not be protected by Gorilla Glass. Instead, Samsung will employ a transparent polyimide produced by Sumitomo Chemical. It will be more flexible than Gorilla Glass, and flexibility is important for a foldable handset. It seems that Samsung's early 2019 release schedule is in flux. But it is getting closer to the beginning of 2019, and we could see the Galaxy F unveiled at the Consumer Electronics show in Las Vegas this coming January. The following month, the Samsung Galaxy S10 and Galaxy S10+ just might be introduced at MWC in Barcelona. I really believe that this would the first real innovation in the smartphone life for the past several years. However, if the Sammy's phone is not good enough it will be another fail for the company. Each first release of a new tech is not polished enough but hopefully in about few years it will become something handy and useful.